In the past few years, we at Yale have done a couple of Japanese film series in collaboration with the National Film Center of the Museum of Modern Art in Tokyo. One of the conditions of the collaboration is that we produce something physical as a record of the event. So even though we did not include it in the budget for our first series, The Sword and The Screen: The Japanese Period Film 1915-1960 (which took place in January and February 2012), we created a quite nice pamphlet on our own. It was a great project for the grad students doing Japanese film at Yale, who helped translate articles, write commentaries on the films being shown, and layout and edit the pamphlet. Rea Amit, Ryan Cook, Samuel Good, Samuel Malissa, Stephen Poland, Grace Ting, and Takuya Tsunoda all did great work. We also had our symposium guests, David Desser and Itakura Fumiaki, pen original and quite stimulating articles for the pamphlet and I added an introduction. 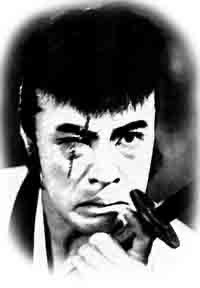 The result is actually a quite good resource on Japanese period films (chanbara or samurai movies), especially given the lack of time and the make-shift nature of the project.